2018 looks to be a great year for the U.S. exascale program. The last several months of 2017 revealed a number of important developments that help put the U.S. quest for exascale on a solid foundation. In my last article, I provided a description of the elements of the High Performance Computing (HPC) ecosystem and its importance for advancing and sustaining this strategically important technology. It is good to report that the U.S. exascale program seems to be hitting the full range of ecosystem elements. As a reminder, the National Strategic Computing Initiative (NSCI) assigned the U.S. Department of Energy (DOE) Office of Science (SC) and the National Nuclear Security Administration (NNSA) to execute a joint program to deliver capable exascale computing that emphasizes sustained performance on relevant applications and analytic computing to support their missions. The overall DOE program is known as the Exascale Computing Initiative (ECI) and is funded by the SC Advanced Scientific Computing Research (ASCR) program and the NNSA Advanced Simulation and Computing (ASC) program. Elements of the ECI include the procurement of exascale class systems and the facility investments in site preparations and non-recurring engineering. Also, ECI includes the Exascale Computing Project (ECP) that will conduct the Research and Development (R&D) in the areas of middleware (software stack), applications, and hardware to ensure that exascale systems will be productively usable to address Office of Science and NNSA missions. In the area of hardware – the last part of 2017 revealed a number of important developments. First and most visible, is the initial installation of the SC Summit system at Oak Ridge National Laboratory (ORNL) and the NNSA Sierra system at Lawrence Livermore National Laboratory (LLNL). Both systems are being built by IBM using Power9 processors with Nvidia GPU co-processors. The machines will have two Power9 CPUs per system board and will use a Mellenox InfinBand interconnection network. Beyond that, the architecture of each machine is slightly different. The ORNL Summit machine will use six Nvidia Volta GPUs per two Power9 CPUs on a system board and will use NVLink to connect to 512 GB of memory. The Summit machine will use a combination of air and water cooling. The LLNL Sierra machine will use four Nvidia Voltas and 256 GB of memory connected with the two Power9 CPUs per board. The Sierra machine will use only air cooling. As was reported by HPCwire in November 2017, the peak performance of the Summit machine will be about 200 petaflops and the Sierra machine is expected to be about 125 petaflops. Installation of both the Summit and Sierra systems is currently underway with about 279 racks (without system boards) and the interconnection network already installed at each lab. Now that IBM has formally released the Power9 processors, the racks will soon start being populated with the boards that contain the CPUs, GPUs and memory. Once that is completed, the labs will start their acceptance testing, which is expected to be finished later in 2018. Another important piece of news about the DOE exascale program is the clarification of the status of the Argonne National Laboratory (ANL) Aurora machine. This system was part of the collaborative CORAL procurement that also selected the Sierra and Summit machines. The Aurora system is being manufactured by Intel with Cray Inc. acting as the system integrator. The machine was originally scheduled to be an approximately 180 peak petaflops system using the Knights Hill third generation Phi processors. However, during SC17, we learned that Intel is removing the Knights Hill chip from its roadmap. This explains the reason why during the September ASCR Advisory Committee (ASCAC) meeting, Barb Helland, the Associate Director of the ASCR office, announced that the Aurora system would be delayed to 2021 and upgraded to 1,000 petaflops (aka 1 exaflops). The full details of the revised Aurora system are still under wraps. We have learned that it is going to use “novel” processor technologies, but exactly what that means is unclear. The ASCR program subjected the new Aurora design to an independent outside review. It found, “The hardware choices/design within the node is extremely well thought through. Early projections suggest that the system will support a broad workload.” The review committee even suggested that, “The system as presented is exciting with many novel technology choices that can change the way computing is done.” The Aurora system is in the process of being “re-baselined” by the DOE. Hopefully, once that is complete, we will get a better understanding of the meaning of “novel” technologies. If things go as expected, the changes to Aurora will allow the U.S. to achieve exascale by 2021. An important, but sometimes overlooked, aspect of the U.S. exascale program is the number of computing systems that are being procured, tested and optimized by the ASCR and ASC programs as part of the buildup to exascale. Other computing systems involved with “pre-exascale” systems include the 8.6 petaflops Mira computer at ANL and the 14 petaflops Cori system at Lawrence Berkeley National Lab (LBNL). The NNSA also has the 14.1 petaflops Trinity system at Los Alamos National Lab (LANL). Up to 20 percent of these precursor machines will serve as testbeds to enable computing science R&D needed to ensure that the U.S. exascale systems will be able to productively address important national security and discovery science objectives. The last, but certainly not least, bit of hardware news is that the ASCR and ASC programs are expected to start their next computer system procurement processes in early 2018. During her presentation to the U.S. Consortium for the Advancement of Supercomputing (USCAS), Barb Helland told the group that she expects that the Request for Proposals (RFP) will soon be released for the follow-ons to the Summit and Sierra systems. These systems, to be delivered in the 2021-2023 timeframe, are expected to be provide in excess of exaFLOP/s performance. The procurement process to be used will be similar to the CORAL procurement and will be a collaboration between the DOE-SC ASCR and NNSA ASC programs. The ORNL exascale system will be called Frontier and the LLNL system will be known as El Capitan. 2017 also saw significant developments for the people element of the U.S HPC ecosystem. As was previously reported, at last September’s ASCAC meeting, Paul Messina announced that he would be stepping down as the ECP Director on October 1st. Doug Kothe, who was previously the applications development lead, was announced as the new ECP Director. Upon taking the Director job, Kothe with his deputy, Stephen Lee of LANL, instituted a process to review the organization and management of the ECP. At the December ASCAC conference call, Doug reported that the review had been completed and resulted in a number of changes. This included paring down ECP from five to four components (applications development, software technology, hardware and integration, and project management). He also reported that ECP has implemented a more structured management approach that includes a revised work breakdown structure (WBS) and additional milestones, new key performance parameters and risk management approaches. Finally, the new ECP Director reported that they had established an Extended Leadership Team with a number of new faces. Another important, element of the HPC ecosystem are the people doing the R&D and other work need to keep the ecosystem going. The DOE ECI involves a huge number of people. Last year, there were about 500 researchers who attended the ECP Principle Investigator meeting and there are many more involved in other DOE/NNSA programs and from industry. The ASCR and ASC programs are involved with a number of programs to educate and train future members of the HPC ecosystem. Such programs are the ASCR and ASC co-funded Computational Science Graduate Fellowship (CSGF) and the Early Career Research Program. The NNSA offers similar opportunities. Both the ASCR and ASC programs continue to coordinate with National Science Foundation educational programs to ensure that America’s top computational science talent continues to flow into the ecosystem. Finally, in addition to people and hardware, the U.S. program continues to develop the software stack (aka middleware) to develop end users’ applications to ensure that exascale will be used productively. Doug Kothe reported that ECP has adopted standard Software Development Kits. These SDKs are designed to support the goal of building a comprehensive, coherent software stack that enables application developers to productively write highly parallel applications that effectively target diverse exascale architectures. Kothe also reported that ECP is making good progress in developing applications software. 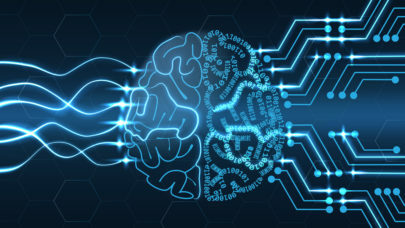 This includes the implementation of innovative approaches that include Machine Learning to utilize the GPUs that are part of the future exascale computers. All in all – the last several months of 2017 have set the stage for a very exciting 2018 for the U.S. exascale program. It has been about 5 years since the ORNL Titan supercomputer came onto the stage at #1 on the TOP500 list. Over that time, other more powerful DOE computers have come online (Trinity, Cori, etc.) but they were overshadowed by Chinese and European systems. It remains unclear whether or not the upcoming exascale systems will put the U.S. back on the top of the supercomputing world. However, the recent developments help to reassure the country is not going to give up its computing leadership position without a fight. That is great news because for more than 60 years, the U.S. has sought leadership in high performance computing for the strategic value it provides in the areas of national security, discovery science, energy security, and economic competitiveness.